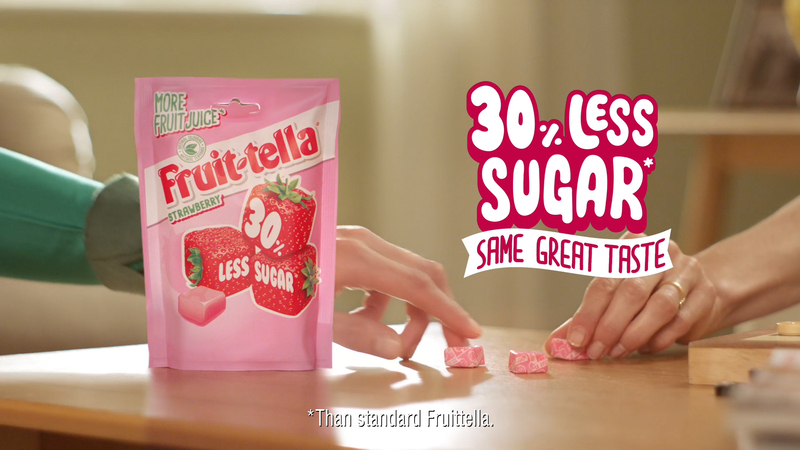 For McCann Birmingham, from on-set to TVC delivery, post production for Perfetti Van Melle’s Fruittella. 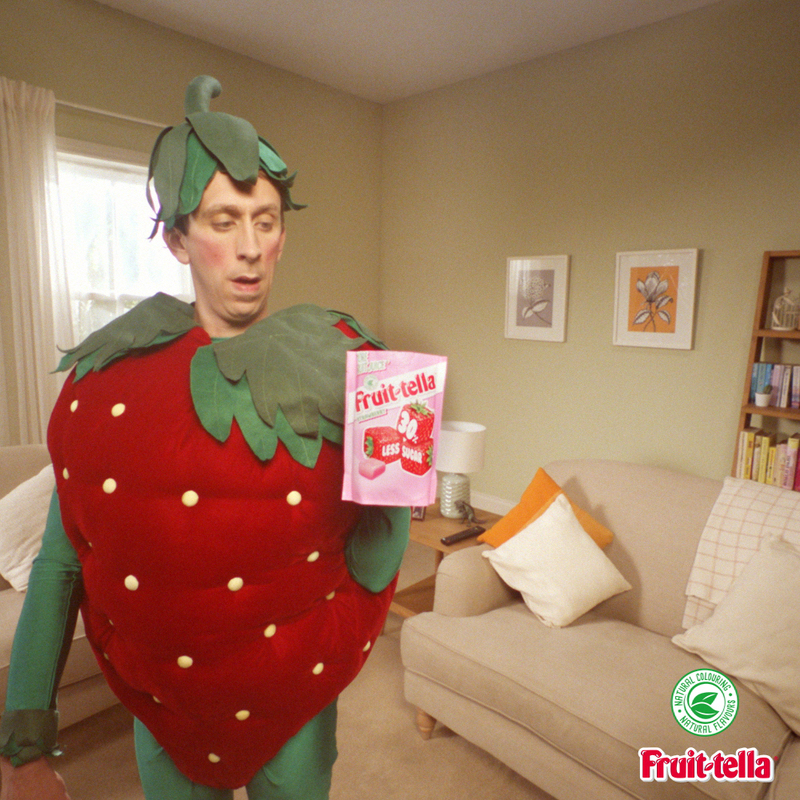 Below: Fruittella – Strawberry Man, TVC. After the storyboards and treatment were discussed with the Agency and Director, it was time to shoot! 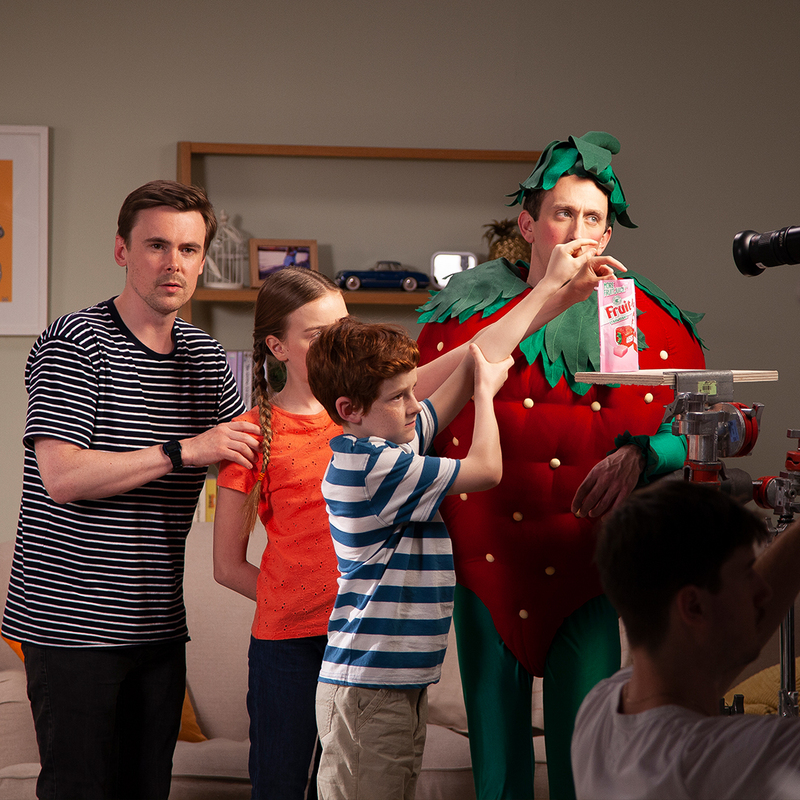 Black Island Studios was the setting for a day’s production with Partizan and McCann, it was time to introduce Strawberry Man and his “family” to the Nation! Pickled’s Reeves and Jones attended the shoot offering the ability to discuss on how certain elements would work within the post process and make ‘on-the-fly’ decisions with Director Giles of Partizan, McCann Creative Director’s Shaun & Jon and Client Matt on how assets would stitch together within the online editing process. 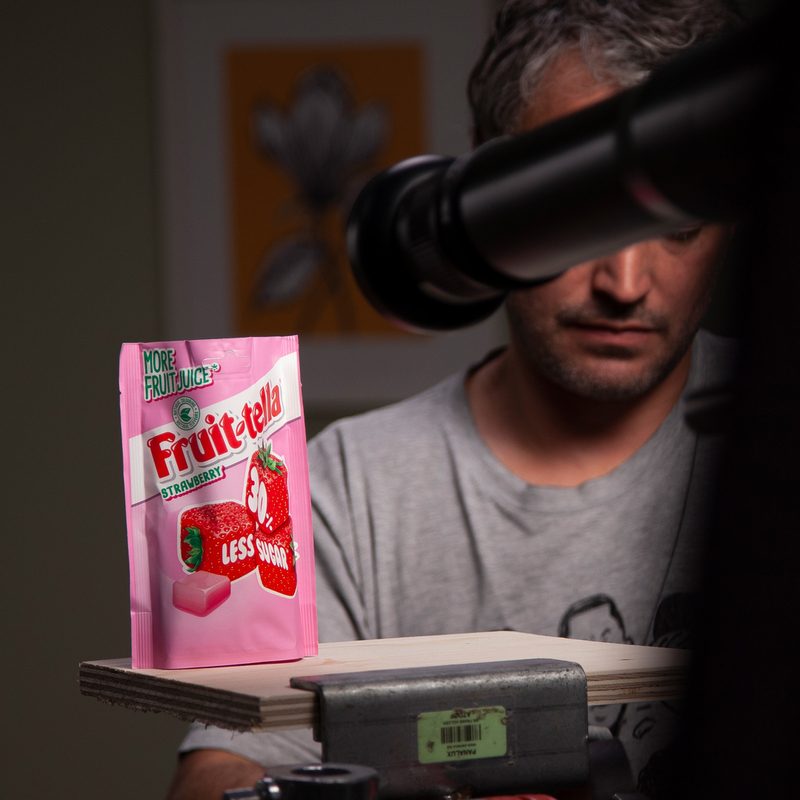 Shooting for pack replacements and a “bit of magic”, plates were shot to ensure a streamlined, online session. Pickled hosted the grading process, using Davinci Resolve and set-up an ‘in agency’ workflow with director Giles attending the grade for approval, as stills and movies were forwarded to the projects creative out-posts. 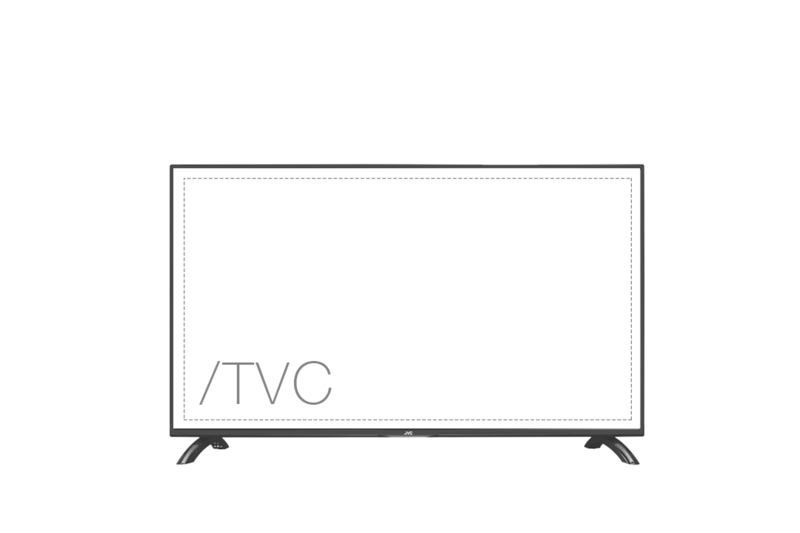 The majority of the VFX online process was completed remotely, with an agency facing Flame session at McCann Birmingham. Reeves ensured that the plates shot for the various FX work were crafted together to bring ‘magic’ to the social campaigns and that the TVC was broadcast ready, leiasing with the agency to creatives for legal and graphic placement. Final delivery was one 20sec TVC, and two 10sec films for social media. 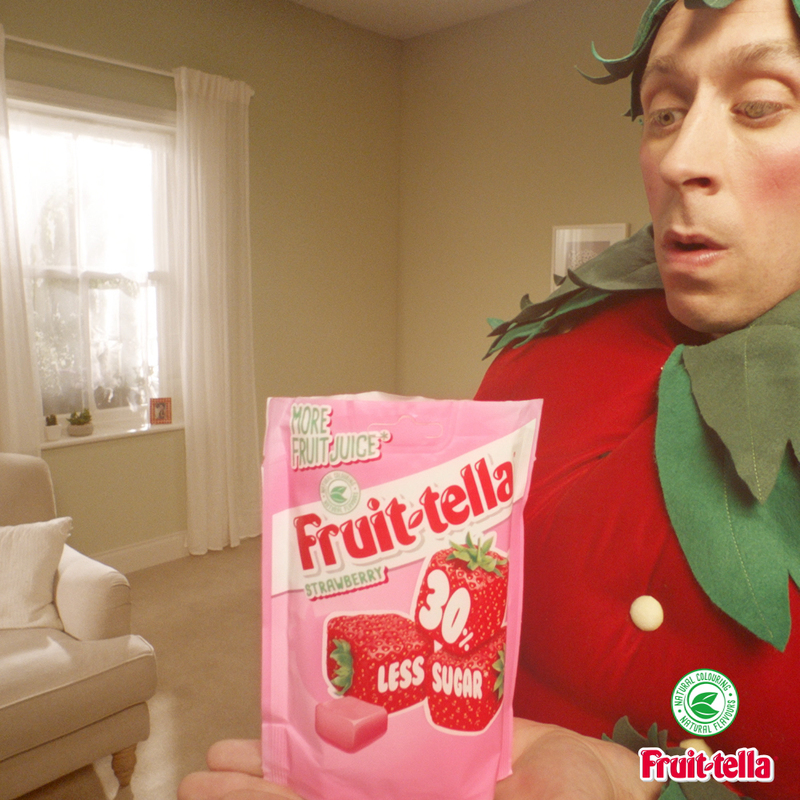 Check out Fruittella’s Facebook and Instagram pages here!